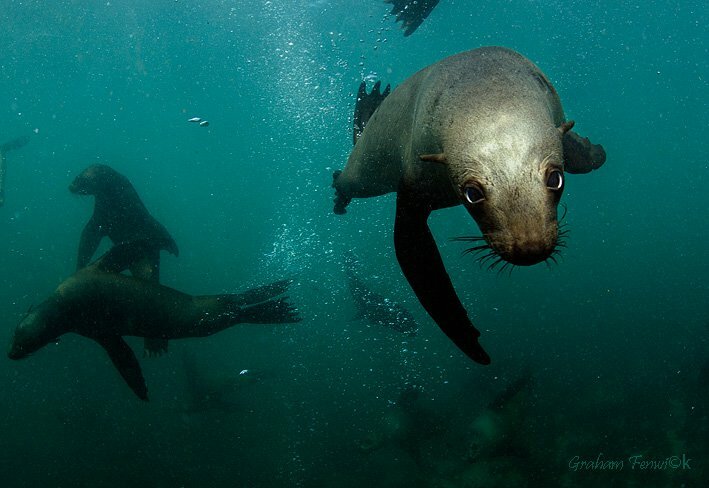 Snorkeling with seals is better for the soul than diving with sharks, nowhere near as scary and you don't have to drive 2 hours from Cape Town! 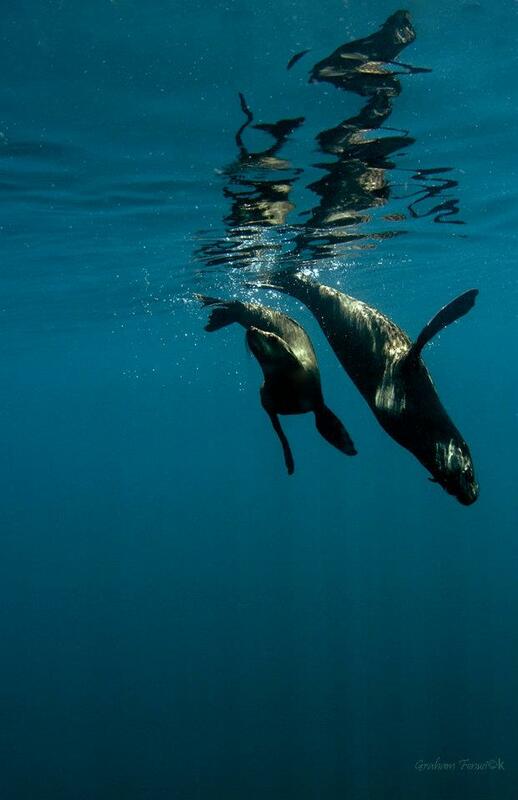 The seals are inquisitive and playful, tending to dart around the snorkelers. 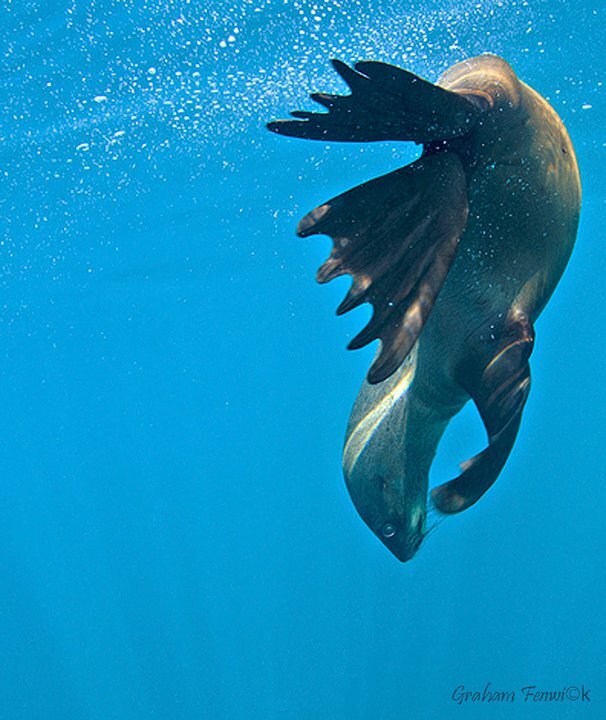 Don't be fooled by any impressions you may have gained from seeing the creatures' clumsy on land performance - in the water they are graceful, streamlined and fast. They look friendly but don't try touch them - they have powerful jaws and sharp claws. The best part of it is that there's no diving experience necessary, however you must at least be able to swim (don’t ask.........). If you have major health implications that would make you immobile, advance warning is needed to have sufficient Dive Masters to assist. You must be 8 years or older. 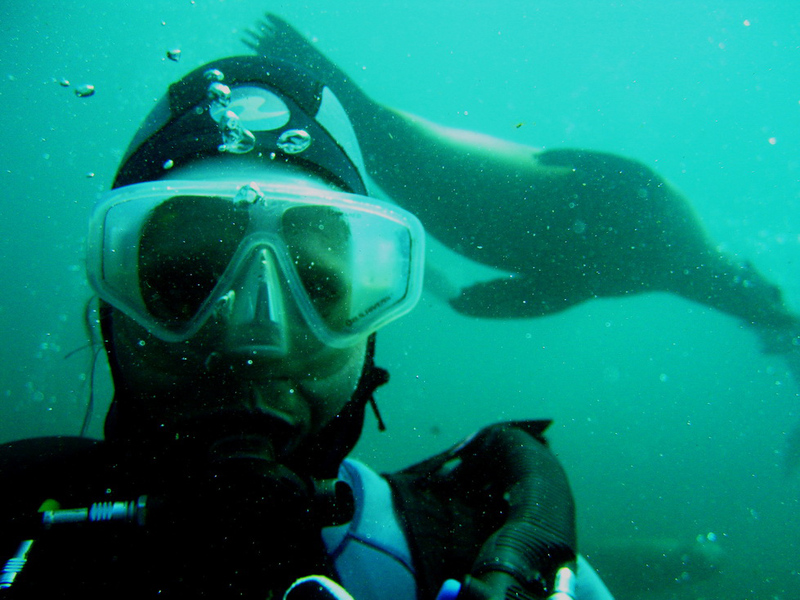 You'll make your way to Hout Bay harbour (own transport to and from jetty required) where you'll be kitted out with a wetsuit, a mask, fins and a snorkel. You'll then be whisked away in a 9m rubber duck to the island, which is just a short distance away off the Sentinel in Hout Bay. There's therefore minimal chance of seasickness, but if it's a big issue for you take a motion sickness tablet beforehand. 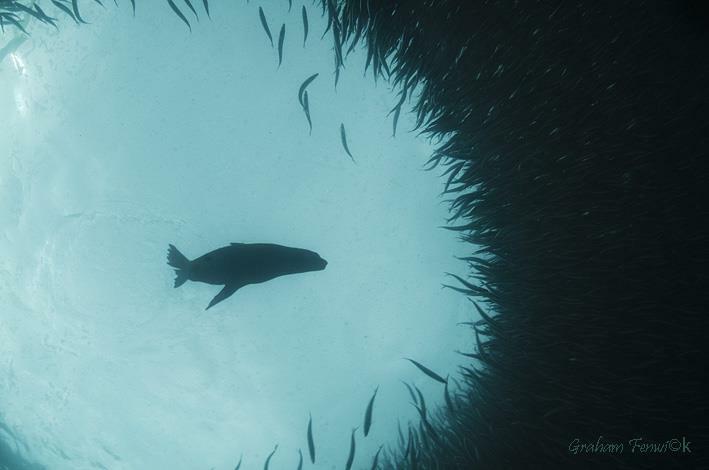 It costs R550 per person, all inclusive of mask, snorkel, fins and wetsuit and boat dive. You can't just pitch up, you need to book in advance. 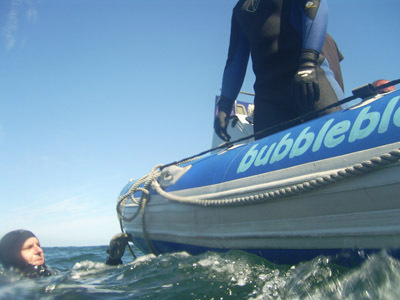 Do this by phoning Bubble Blowers at 021-554-3817 or 083-306-2550, or emailing Info@bubbleblowers.co.za. There are 2 launches a day, at 11am and 1pm, with the launch being dependent on ocean conditions.